Get a Free Buckeye Windshield Replacement Price Today! Glas Tek is proud Buckeye windshield replacement and auto glass repair mobile service provider. If you cannot see properly while you are driving because of a chipped, broken or cracked windshield, you are diminishing the safety of yourself and everyone on the Buckeye road around you. Unfortunately, cracked and broken windshields happen all the time and when left unrepaired, motorists and passengers are vulnerable to accidents and injuries. Cracks from stray rocks, accidents, hail, and other impacts can weaken your windshield, impede vision and put you and others at unnecessarily high risk of injury or death. If this happens or has happened to you, you need the services of a professional Buckeye windshield replacement shop to fix your auto glass and get you back on the road safely. For people who live in the Phoenix or Buckeye area, we are proud to offer free mobile service to the area to make getting your repairs done quick, efficient and so simple there is no excuse or reason to drive around with a broken windshield. With just a simple phone call, we will send one of our professional auto glass repair and installation experts out with all the experience, expertise and supplies they need to fix your windshield and get your car back in safe driving condition. Call us today or get a free online Buckeye auto glass repair quote online now. It’s easy, free, no obligation, no traps or email requirements, fast and you get free lifetime rock chip repairs with any Buckeye windshield installed. Plus, earn 10% REWARDS with any future purchases of auto glass, windshield, door glass, quarter glass or back glass replacement needs. Not only do we make getting the auto glass repair done quick and efficient, we take all the hassle out of the repair by handling your insurance claim for you. We are a preferred Buckeye windshield replacement expert for major insurance carriers such as Progressive, Allstate, Geico, Safeco and State Farm just to name a few, so we know the ins and outs of filing repair claims and are happy to handle all the details for you. In fact, if you log onto our website and fill out our auto glass replacement insurance form, we will give you $50 for choosing us as your Buckeye windshield replacement shop. If you live in Phoenix or Buckeye, no other auto glass repair company will make it easier for you to get back on the road than us. If you are driving around with a cracked, chipped or broken windshield, call us today or go ahead and log onto our website to fill out the repair forms and we will have your windshield replaced in no time. Let us help keep you and everyone in the Phoenix and Buckeye area safe with professionally repaired and installed windshields. Offering free on site mobile service, expert technicians, a $50 online bonus plus having our experts handle your insurance claim for you makes us the top choice for windshield replacement in the Phoenix and Buckeye area. Buckeye is a very beautiful and luxurious place to live filled with plenty of things to see and do. Buckeye also has very popular recreational area located on State Route 85 (marker 144), it has many exciting activities to do. Such as a huge camping area, plenty of picnic spots, hiking trails for the joggers in the family and a shooting range for the dads in the family. The recreation area is all part of the Maricopa County Regional Parke program, and it’s called Buckeye Hills Recreation Area. The shooting range is completely safe and is always managed by the Buckeye Sportsman Club. We believe this is a very hopeful and prosperous city, and one that we love to visit. There is always something beautiful to look at and always new places to go and always new things to do. Buckeye in the near future has plans to become huge, yes even bigger then Phoenix itself. 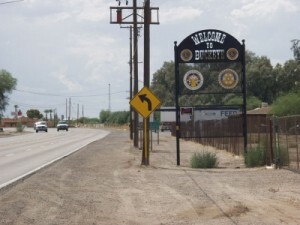 The population has been increasing a great deal in the last decade and due to the amount of land the city has annexed and plans to annex which is roughly up to 600 square miles the population of Buckeye is expected to be in the year of 2030 is 380,00 residents. Which is a great deal of people. Further expectations for this city, in the year 2050 Buckeye will have over two million residents making it the largest suburb in the Phoenix Metropolitan Area and possibly the whole United States of America, easily surpassing Mesa which within that time will have been already completely built.